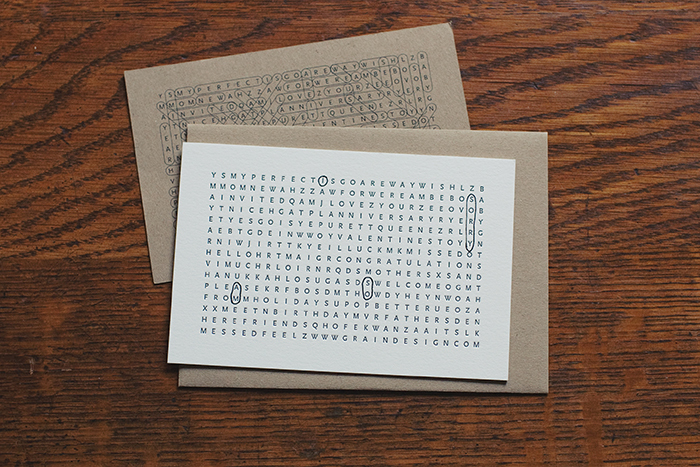 The Utility Card uses a word search puzzle to hide over 100 classic well wishes. Ready for any occasion, simply circle the sentiment you wish to communicate. Blank space for writing provided on the back. 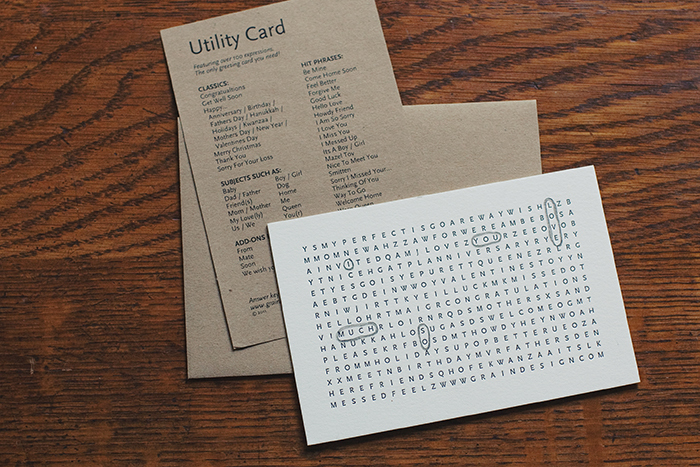 Utility Card is letterpress printed on extra thick tree-free paper that uses cotton fiber waste from textile manufacturing, and comes with a 100% post-consumer recycled content kraft paper envelope and cheat-sheet to help find the right words. Now available in English, French, and Spanish! Pearl white with kraft paper envelope and cheat-sheet. Card is printed on tree-free paper that uses cotton fiber waste from the textile manufacturing industry. 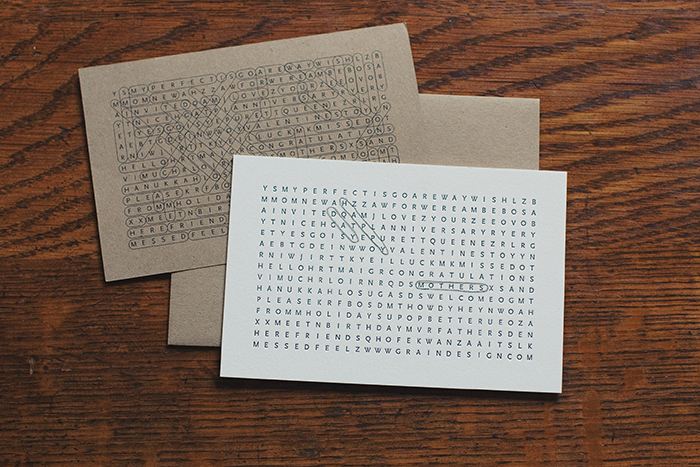 Envelope and cheat-sheet are 100% post-consumer recycled kraft paper. Inks are non-toxic. Cornstarch polybag is biodegradable. Recycle card, envelope and cheat-sheet with paper. Compost polybag.